Beauty Queen is a great tomato from Brad Gates. Tomatoes are yellow with watercolor red swirls. Flesh is juicy and sweet. Heirloom Seed Packet. Another great tomato from Brad Gates. Queen is a smaller version of Beauty King. 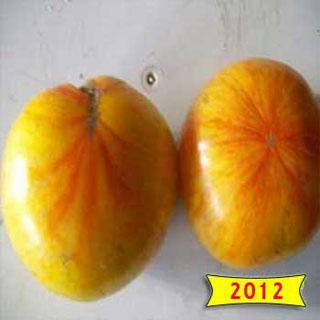 Tomatoes are yellow with watercolor red swirls. Flesh is juicy and sweet.